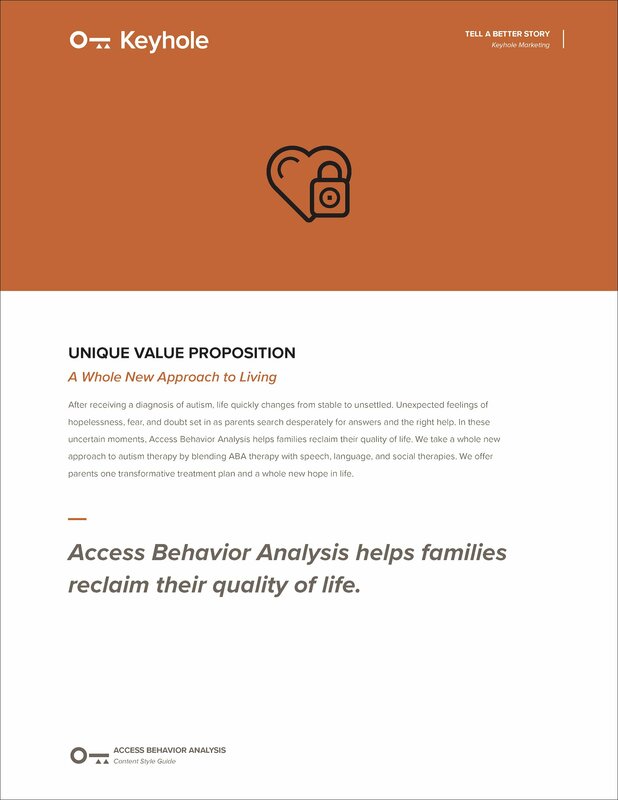 To remove any uncertainty felt by prospects, customers, and employees, Access Behavior Analysis (ABA) asked us to create a clear, consistent business story to guide all current and future marketing materials. 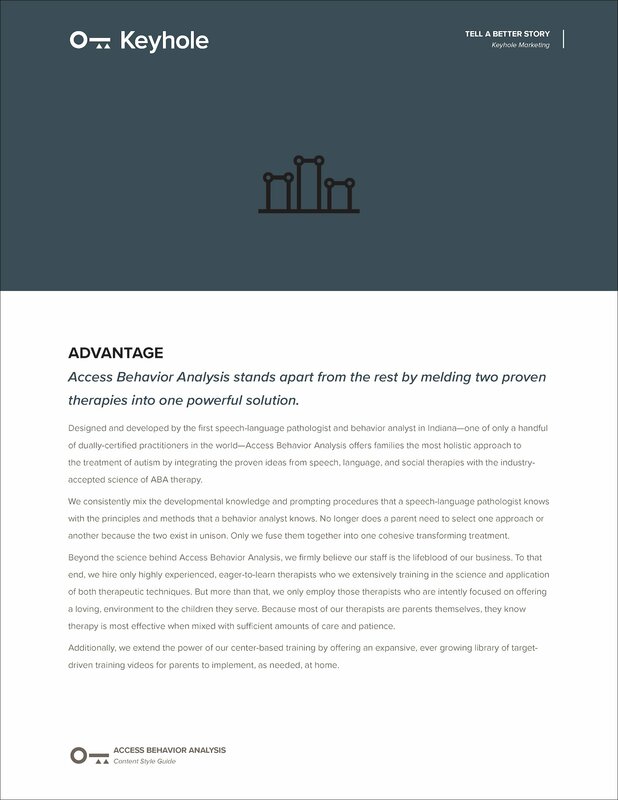 In the end, we created a comprehensive Content Style Guide that outlined a structure for their story and identified key messaging on what makes ABA unique, what they offer, who they serve, and how they differ from the competition. After conducting a 10-question survey with staff, leadership and clients, in which we explored the answers to such questions as — What do you sell? 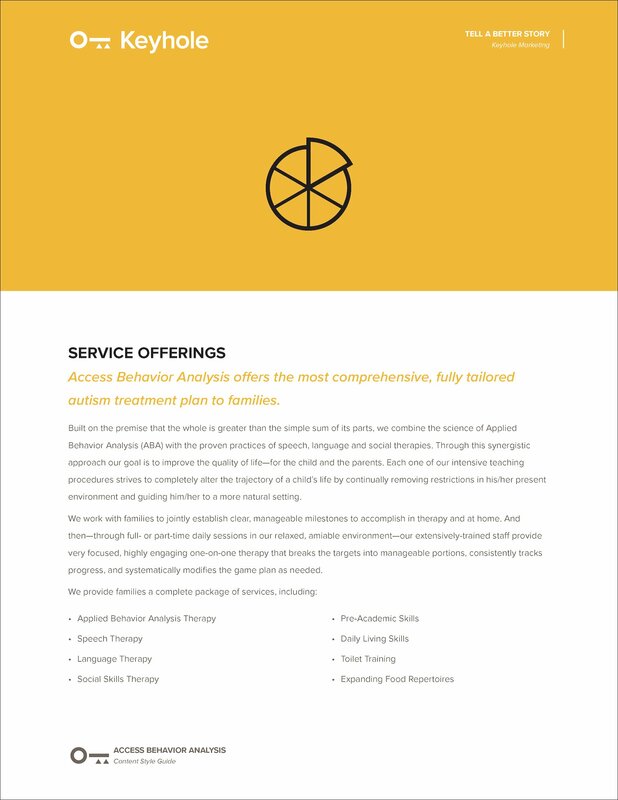 What is your goal in providing those services? Where do people go when they don’t choose you? Why do you do this in the first place? 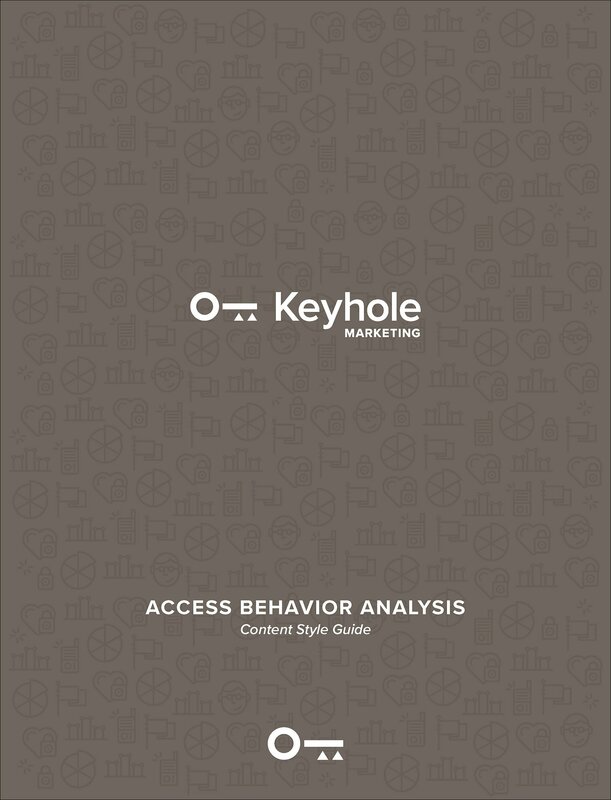 — we consolidated the responses into a multi-page Content Style Guide to provide internal direction on all external marketing messaging. 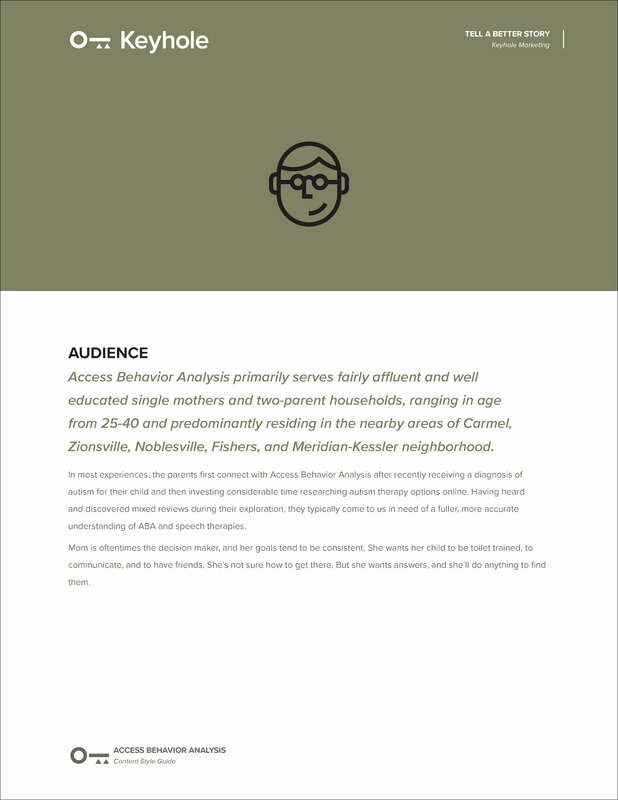 The Content Style Guide then acted as a reference guide when Access Behavior Analysis launched their new website in 2017 with non-profit-focused web vendor they had previously contracted. 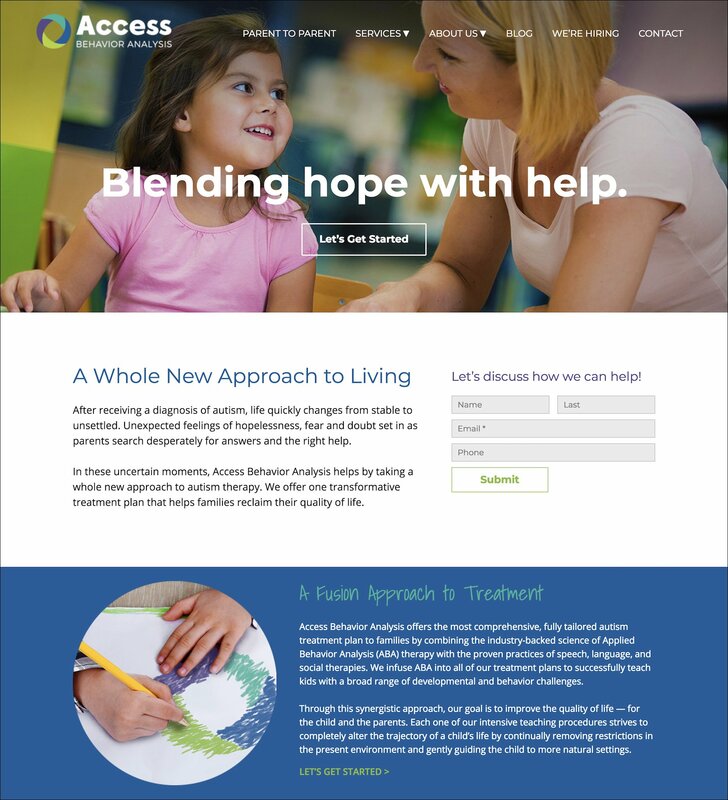 The language can still be found across several pages on their website.